This op-ed originally appeared in Agri-Pulse. It’s an often overlooked aspect of our global food system. Close to 50 percent of the planet’s fruits and vegetables go to waste. In some developing countries, between 30 and 40 percent of all crops go to waste on the farm—usually within three months after harvest. Perhaps John Mandyck said it best at this year’s Chicago Council Global Food Security Symposium: “We don’t tolerate 40 percent inefficiency in anything, except the one resource we need to sustain the human race”—food. But what if I told you some farmers in Africa have reduced their food waste by more than 98 percent in recent years? And what if I told you this story has the potential to transform family incomes and create new opportunities for the next generation? Let’s start with the problem. While industrialized nations in the United States and Europe account for over half of all global food waste, food waste is also a challenge in agricultural communities across the developing world. Known as “post-harvest food loss,” the majority of spoilage happens before food makes it to consumers and long before it rots in the back of a fridge. Across Sub-Saharan Africa and the rest of the developing world, grain is still stored by individual families in traditional woven baskets or hardened mud silos. Insects, moisture, rodents and mold can easily destroy a crop when it is not kept in airtight storage or moved quickly to market. The consequences can be dire. 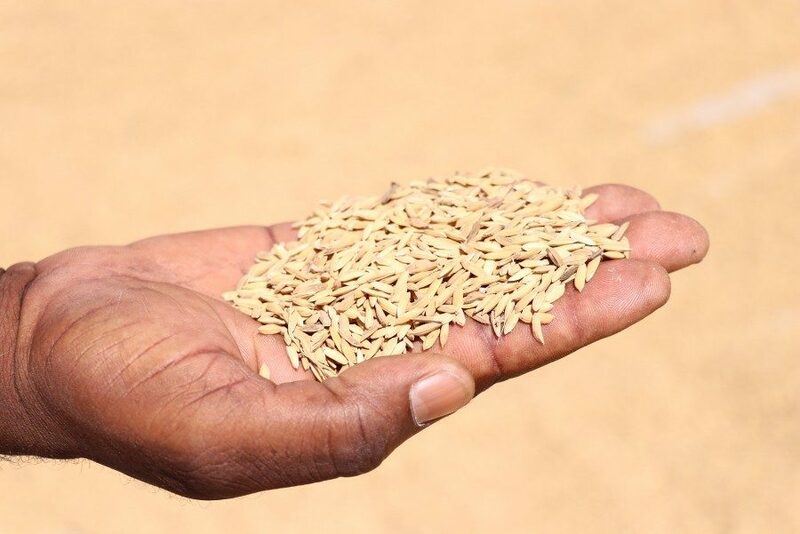 For most small-scale farmers, losing a third of one’s crops can mean not having enough calories to make it through the lean season to the next harvest. Farmers forfeit potential income, and that’s money that might be used to pay for other foods that aren’t grown on the farm, or to send their kids to school. From a health perspective, crop spoilage can also become a breeding ground for a carcinogenic fungus called Aflatoxins, which is one of the leading causes of cancer in Africa. So what can be done to reverse these losses? In 2013, the World Food Programme (WFP) launched its Zero Food Loss Initiative, piloting the use of airtight storage technologies with farmers in Africa. The program subsidizes the purchase of polypropylene bags and plastic or metal silos and provides training for farmers on the use of these products and storage management techniques. Four years later, the initiative is working. In trials conducted in Uganda and Burkina Faso, participating farmers saw a reduction in food loss of 98 percent. Farmers outside of the program are buying silos at full cost. The storage equipment is so popular that it has now been adopted by 125,000 farmers and has the capacity to expand to tens of millions more. Thanks to a foundation of private sector support, the endeavor is making use of established manufacturers to leverage existing stable supply chains to keep costs down. This means, for example, working with plastic water tank manufacturers to modify their designs to create airtight grain storage containers, adding a new product to their portfolio. Recent innovations like making silos stackable means suppliers can fit more units on trucks, further expanding the reach of these products. Sometimes the simplest solutions can have the biggest impact. WFP has taken an old idea—silos—and given it new life through the organization’s expertise in logistics and supply chains. Hermetic equipment like this is slowly changing the food storage paradigm in Africa. These silos put farmers in control of their own destinies. With proper storage, farmers can keep grain off the market, choosing to sell when prices become more favorable. This is especially critical in the developing world, where most farming is rainfed and farmers tend to harvest within a short window of time following the rainy season, flooding the market and reducing prices. While there is no silver bullet for improving agricultural productivity and food security across the developing world, reducing post-harvest loss comes close. Technology like this could revolutionize the problem of food waste not only in Africa, but worldwide. And with the looming threat of famine occupying much of the reporting on global food security today, this is one positive development with too much potential to throw away. *Dan Glickman served as the U.S. Secretary of Agriculture from 1995 to 2001. He currently serves on the board of World Food Program USA, a non-profit that builds U.S. support for the mission of the World Food Programme, the leading organization fighting hunger across the globe.